We have three days left before the annual BookTubeAThon begins; a seven day readathon with reading, video, and Instagram challenges! I am so excited about these challenges and all the books I have chosen for them, so let’s get into this TBR so I can share all the amazing books. The two books I flipped a coin for were Love & War by Melissa de la Cruz and Every Heart a Doorway by Seanan McGuire. I was happy with either book, but I was really hoping for Every Heart a Doorway because 1) I have heard AMAZING things about it and 2) it is less than 200 pages. When I flipped the coin thought it landed on tails which I used to represent Every Heart a Doorway, so that is what I will be reading for this challenge! It is the first book in a fantasy series that I don’t really know the specifics about, but am looking forward to finally joining the bandwagon! While I have been to California plenty of times, I have never been to San Francisco and for some reason, I’ve always really wanted to. That is why for this challenge, I will be reading Lola and the Boy Next Door by Stephanie Perkins. I have read this summer contemporary book countless times, but I am dying for a re-read so it is the perfect time to pick up this book during the readathon because I know I will fly through it. This follows a girl named Lola whose life seems almost perfect until her first love and first heartbreak moves back next door, flipping her entire world upside down. I was really looking forward to this one because not only have I been dying to re-read City of Bones by Cassandra Clare, but I have also been wanting to give the movie another watch since it has been a while. 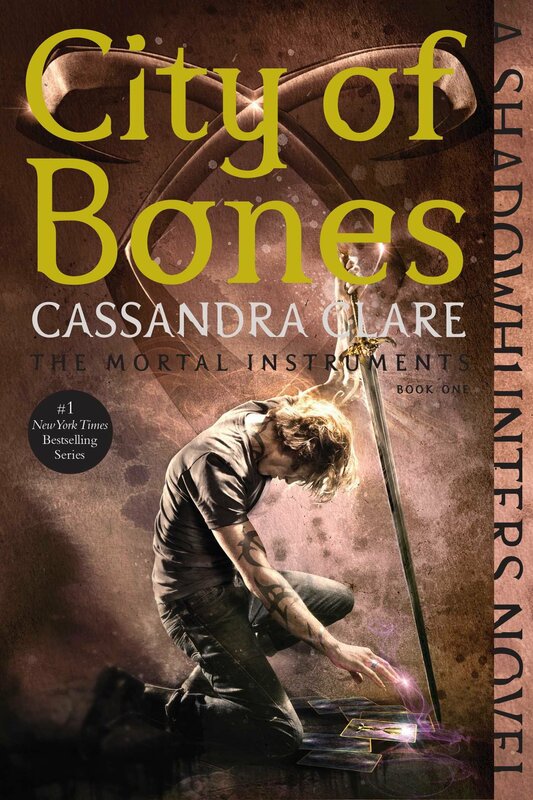 This challenge came at the perfect time, and I feel like this is going to make me want to re-read the entire series…City of Bones by Cassandra Clare is the first book in The Mortal Instruments series which follows a world that has Shadowhunters, a species that is both angel and human, whose duty is to rid the world of demons. Our main character, Clary discovers she is a Shadowhunter, and together we are thrust into this crazy, dark world with her. I will be doubling up this challenge (unless I manage to find some time to read another book) and reading City of Bones by Cassandra Clare. I love this challenge! I don’t usually wear hats but maybe this will be the challenge that gets me into wearing them more often…probably not, but that’s okay. For this challenge, I will be reading A Darker Shade of Magic by V.E. 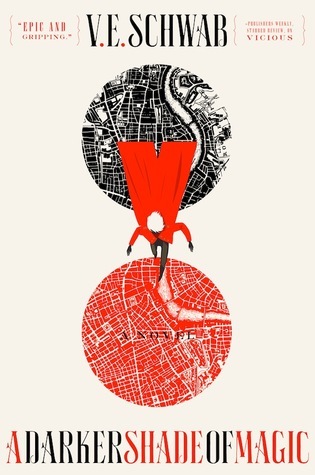 Schwab, a fantasy book where our main character Kell can jump between the different Londons in this world; Red London, Grey London, White London, and once upon a time, Black London. This was on my Biannual Bibliothon TBR but I never actually got around to it so hopefully I will this time! 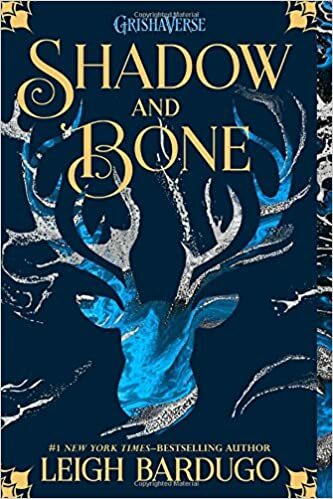 I think the spine for Shadow and Bone by Leigh Bardugo is really pretty (and it has been on my TBR since the beginning of time), so I have decided to read it for this challenge. This takes place in the Grisha Verse…which I don’t know anything about. I have heard good things though so I am hoping I ill like it as much as everyone else seems to! I have a few options for this one, and it all just depends what I am the mood for when the time comes. Some of my options are Around the World in 80 Days by Jules Verne and Love & War by Melissa de la Cruz. It might be something totally different in the end, but right now I have nooo idea what I will feel like reading. I hope you like A Darker Shade of Magic!! I really enjoyed it! And I’m hoping to read Every Heart a Doorway this summer, so I can’t wait to see your thoughts! Great TBR, I hope you read them all, I decided that I wouldn’t participate this time, I’ve been trying to get through all of Amie Kaufman’s and Meagan Spooner’s books so I’ve mostly been focusing on those. And that is alright because there is always next year 🙂 good luck with your reading though!